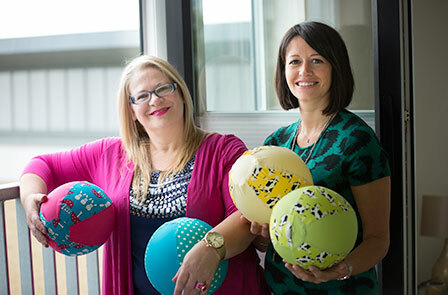 BubaBloon was the brainchild of new mum Elena who, in 2015, was given a similar balloon cover toy as a gift for her daughter Lucia. As a new mum Elena instantly recognised the benefits - it was a safer way for Lucia to play with balloons, reducing the risk of choking or being frightened. If the balloon did pop, it was safely retained within the cotton cover away from her little fingers and mouth. Even better, it was washable and packed away neatly into the nappy bag she was carrying everywhere. Keen to buy the same product as a gift for her new mummy friends she was surprised that she couldn't find what she was looking for - there was nothing like it in shops and a limited choice online. Knowing there was an untapped market for a simple, safe and portable toy she mapped out her thoughts before approaching her friend and business mentor, Lorna - and BubaBloon was born. It wasn’t long before her second child, Theo, was born that the business really took off. 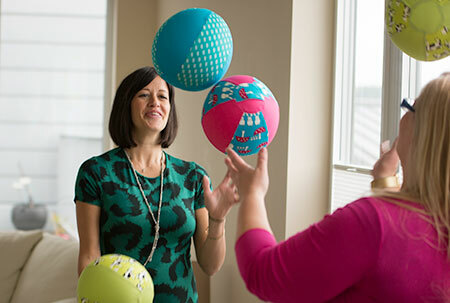 Fast forward to 2018 and the original concept product has continually evolved into a multi-product business and global supplier to the baby toy market. We now develop our own unique fabric designs, have launched a colour in version with washable markers and even some cute little toys and gym bags using our beautiful prints. 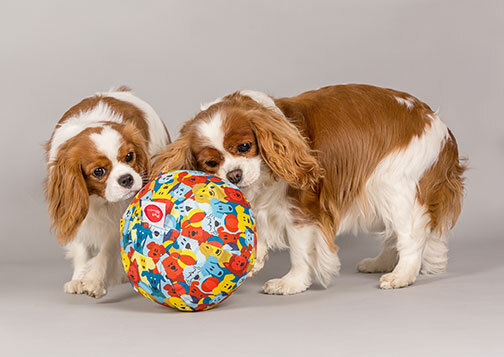 After a couple of fateful meetings, in early 2018 a further evolution of the product saw the launch of PetBloon, specifically designed for smaller breed dogs with a more durable polyester cover and a strong hook and loop seal. 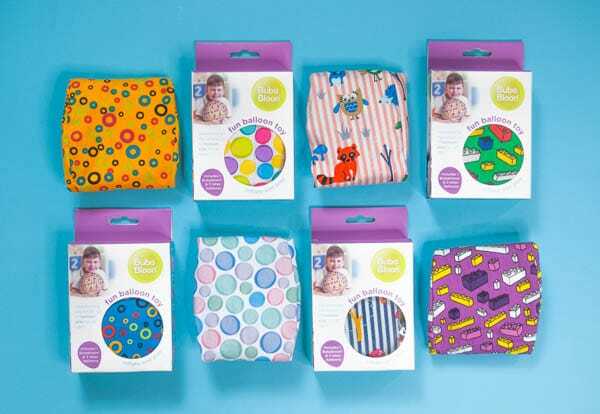 We're always growing and evolving, over the coming months we'll be increasing our network of global distributors, launching more fabric designs and hopefully becoming even more of a 'must have' toy for babies and toddlers everywhere.